Coveting the items in our Spring Fashion feature package? Here’s where you can buy them in Chicago. 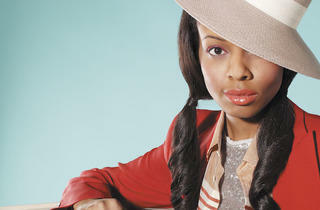 Photograph: Lisa Predko Wardrobe Styl Woman in hat. Locations around the city, akirachicago.com. •855 W Belmont Ave (773-549-1038, belmontarmy.wordpress.com). El: Brown, Purple (rush hrs), Red to Belmont. Bus: 22, 77. •1318 N Milwaukee Ave (773-384-8448). El: Blue to Division. Bus: 56, 70. 900 N Michigan Ave (312-440-4460, bloomingdales.com). El: Red to Chicago. Bus: 3, 66, 145, 146, 147, 151. 900 N Michigan Ave, second and third floor (312-944-9013, charlesdavid.com). El: Red to Chicago. Bus: 3, 66, 145, 146, 147, 151. 1566 N Damen Ave (773-489-2001, citysoles.com). El: Blue to Damen. Bus: 50, 56, 72. 4601 N Broadway (773-878-2277). El: Red to Wilson. Bus: 36. Locations around the city, discoveryclothing.com. 900 N Michigan Ave (312-944-0040, dna2050.com). El: Red to Chicago. Bus: 3, 66, 145, 146, 147, 151. 1452 W Chicago Ave (312-243-3100, dovetailchicago.tumblr.com). El: Blue to Chicago. Bus: 9, 66. 1101 W Fulton St (312-226-4565, shopfixchicago.com). Bus: 20, 65. Locations around the city, intermixonline.com. •900 N Michigan Ave, second floor (312-751-2739, jcrew.com). El: Red to Chicago. Bus: 3, 66, 145, 146, 147, 151. •929 W North Ave (312-951-0784). El: Red to North/Clybourn. Bus: 9, 33, 72. 900 N Michigan Ave, third floor (312-867-1760, karenmillen.com). El: Red to Chicago. Bus: 3, 66, 145, 146, 147, 151. 3458 N Southport Ave (773-248-1967, kristak.com). El: Brown to Southport. Bus: 9, 77, 152. 824 W Armitage Ave (773-281-5655, lorisshoes.com). El: Brown, Purple (rush hrs) to Armitage. Bus: 8, 73. 900 N Michigan Ave, third and fourth floor (312-440-0720, markshale.com). El: Red to Chicago. Bus: 3, 66, 147. 300 W Grand Ave (312-895-1577, customsuitsyou.com). El: Red to Grand. Bus: 11, 65, 125, 156. 55 E Grand Ave (312-464-1515, nordstrom.com). El: Red to Grand. Bus: 2, 3, 10, 26, 65, 143, 144, 145, 146, 147, 148, 151, 157. 1913 W Division St (773-395-2351, shoppenelopes.com). El: Blue to Damen. Bus: 50, 70. 47 E Oak St (312-675-2105, shrinestyle.com). El: Red to Chicago. Bus: 3, 66, 145, 146, 147, 151. 900 N Michigan Ave, fifth floor (312-751-1519, space519.com). El: Red to Chicago. Bus: 3, 66, 147. 1719 N Damen Ave (773-772-0505, chicagotangerine.com). El: Blue to Damen. Bus: 50, 56, 72, 73. 1744 W Division St (773-698-8162, trilliumchicago.com). El: Blue to Division. Bus: 9, 50, 70. 520 N Kingsbury St (773-278-3888). El: Brown, Purple (rush hrs) to Merchandise Mart; Blue, Red to Grand. Bus: 33, 65. 818 W 18th St (312-226-9000, workshopchicago.com). Bus: 8, 18, 62. •700 N Michigan Ave (312-255-8123, zara.com). El: Red to Chicago. Bus: 65, 145, 146, 147, 148, 151. •1 W Randolph St (312-368-6178). El: Brown, Green, Orange, Pink, Purple (rush hrs), Red to State/Lake.